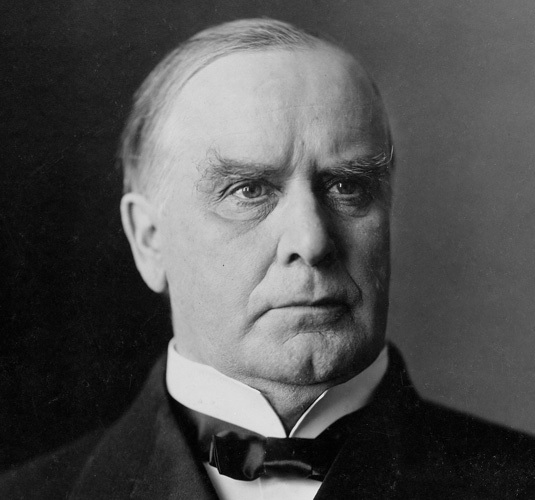 This is President William McKinley. It was this week in 1901 when Robert Todd Lincoln, son of the slain President, rushed from the train station in Buffalo to greet President McKinley at the Temple of Music. He did so in his capacity as President of the Pullman Cars Association to lend a hand in the political opportunites afforded by the Pan American Exposition which was being held in Buffalo that year. Robert Todd Lincoln was always late. Just as he arrived Leon Czolgosz approached the President, his hand in a sling which concealed a revolver. He used this weapon to shoot the President within yards of the ever tardy Mr. Lincoln. The President was shot on the 6th and died of his wounds on the 14th of September. After this event, Mr. Lincoln would make no more public political appearances for the rest of his life. Some say this was a self imposed idea. Others say he fell out of favor as a guest for a very understandable, but unusual, reason. You see, Robert Todd had a history of being late at the very times when Presidents were shot. He was late in 1881 when he was serving under President James Garfield, pictured here, as the Secretary of War. On this occasion he arrived, as he later did with McKinley, at the precise moment the fatal shots were fired by Charles Guiteau. Just as later, with McKinley, Robert Todd was only yards away. It has been written that both Garfield, and later McKinley, were having dreams portending their own deaths at the hands of an assassin. So much had been written about President Lincoln's premonitions, that both subsequent Presidents were eager to discuss this with his son Robert. 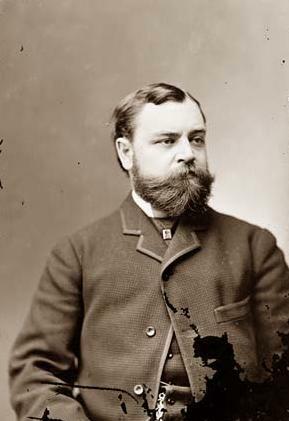 This is Robert Todd Lincoln as he appeared in the 1880's. The history of his presence at the assassinations began, of course, with the murder of his father, Abraham Lincoln, which occured on the very night that Captain Lincoln arrived back in Washington after having served as an aide to General Grant. He was too tired to attend the theater that night, electing to stay in the White House instead. But he was summoned about 11 PM that night after news of his fathers assassination had spread throughout the city like wildfire. Rushing to the President's side he was present when President Lincoln passed away at about 7:30 AM the following morning. I have often thought about the burden that Robert Todd Lincoln carried with him for the rest of his life. He did write briefly about it, posing such questions as "What if I had been there?" and "Might it have gone differently?" No one will ever know. But every year when the anniversary of President McKinley's assassination rolls around, I think about poor Robert Todd Lincoln and the burden that he carried for over 6 decades until he passed away in 1926.